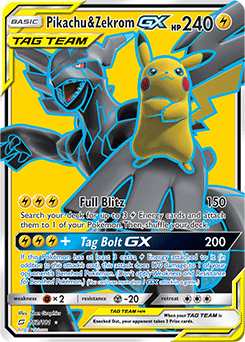 Standard Pikachu and Zekrom-GX decks have changed a ton since we last covered them here on PokeBeach. Starting off, there was seemingly one variant that emerged successfully from the original turmoil of figuring out Team Up — that being the super turbo list with Rayquaza-GX, Acro Bike, and even Wondrous Labyrinth Prism Star popularized by Jose Marrero. We now have two different builds, one focusing more on Zapdos and the other using a turbo engine to get off turn one Full Blitz attacks. This deck wants lots of options, and two Zapdos gives the deck a great one. You can operate as a non-GX deck and switch into a Pikachu and Zekrom-GX when the time is right if you want. You can also do something like attacking with two Zapdos, followed by two Pikachu and Zekrom-GX, forcing your opponent to take eight Prizes to win the game. This deck has so many different angles to claim an advantage in games and having multiple Zapdos is a big part of it. With so many Zapdos mirror matches these days you need to have your own or you’ll be hit with one-Prize attackers all game and have little to combat them with. While it’s important to the deck, you don’t want to start with it as much as you do with a turbo version of the deck. Tag Bolt GX is the big attraction here and the whole reason why it’s included in the first place. 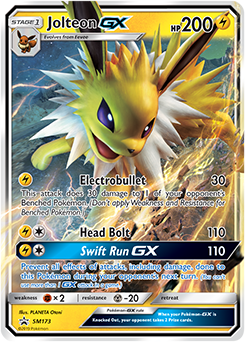 Tag Bolt GX gets you ahead on Prize cards and wins you games. The strategy of the deck is to slowly build up to that while you pester your opponent with Zapdos and other options and eventually close things out. You can also play the opposite and go full turbo if the cards align to do so; it’s just not a guarantee. You might fancy the turbo approach when your opening hand has a Thunder Mountain Prism Star, and at that point I would say by all means do it. The many different paths to victory are frankly the only reason why this deck is good; it might look like a mess on paper, but that is by design. You don’t want to over-invest into one attacker, but Pikachu and Zekrom-GX is a big part of winning every matchup so you want to make sure that you can use it at least once a game. If you just played one you might prize it, not find it, or worse, and never get to take full advantage of it. Unlike Zapdos, your opponent probably won’t Knock Out back-to-back Pikachu and Zekrom-GX, you’re playing two to not prize it and make sure you take full advantage of it. You can also create an unwinnable position for your opponent if you’re able to power up two Pikachu and Zekrom-GX with Full Blitz. Jolteon-GX is okay against Zapdos decks when you have Absol in play. Electrobullet can set up double Knock Outs, and Absol makes it difficult for an opponent to combat it. It’s a great insurance counter against Vileplume, giving you an out against something that would otherwise immediately beat you. It’s a versatile card with a lot of uses and belongs in a toolbox deck like this because it opens even more possibilities up with spread, a unique GX attack that can create immunity for a turn, and a solid attack that does 110. Zapdos can be tough for Pikachu and Zekrom-GX decks to beat, so Absol is here to make it a little easier. While I’m not extremely confident in the matchup being favorable even still, Absol makes it winnable, whereas before it was very unfavorable. In order to get ahead in the Zapdos matchup you need to get ahead on Prize cards since you’re not favored on paper with the whole extra-Prize Pokemon-GX Knock Out thing that your opponent has going for them. If Dark Ambition can buy you even one extra turn where you take a Knock Out you can get ahead on Prizes and eventually win the game. I like the inclusion and it will win you games, albeit not all of them, against Zapdos. Also solid against Zapdos, reducing 30 damage from attacks negates an entire Electropower and helps your Pokemon survive longer. It’s also strong against Zoroark-GX decks and slows Riotous Beating down. It’s a nice card to help you last longer in games and throw opponents off guard. This deck is all about having options and this is a nice one to have; a 140 HP Zapdos? It’s possible with this Stadium.